Trump Administration Opens Door To Dramatic Expansion Of Offshore Energy Leases : The Two-Way The proposal includes all but one of 26 "planning areas" in federal waters in the Arctic, Pacific and Atlantic, which make up about 90 percent of the outer continental shelf. A natural gas platform off the coast of Fort Morgan, Ala., in 2007. The plan would determine the size, timing and location of leasing activities and would replace President Barack Obama's 2017-2022 program. It includes all but one of 26 "planning areas" in federal waters off U.S. coastlines, making up about 90 percent of the outer continental shelf. That's in comparison with the 94 percent that is now off limits, according to the administration. Zinke emphasized that "this is a draft program." The plan has a comment period of 60 days, in which authorities will hear from states, the public and other stakeholders. It would take effect in 2019. The proposed change is welcomed by the oil and gas industry. In a statement, the National Ocean Industries Association praised Zinke "for offering the broadest possible acreage for potential inclusion in our nation's next offshore leasing program." Meanwhile, environmental organizations are alarmed and stress that it could place wildlife and coastal communities at risk of a spill. "The proposal would expose the Arctic waters — our last undeveloped ocean — to drilling, put the Atlantic coast on the chopping block for the first time since 1983, open the Pacific coast — which has not seen federal drilling for decades, and further threaten the debilitated Gulf of Mexico," said a statement signed by 64 organizations and environmental groups. Environmental advocates are hoping that the plan will be vastly changed before it takes effect in 2019. "Now is the time to fight this," Oceana campaign director Diane Hoskins said. "Opening up our oceans to offshore drilling is a forever decision and so we'll be very vocal and fighting this plan." Last April, Trump directed Zinke to review the Obama administration's five-year plan. The areas reviewed included portions of the Pacific, Arctic and Atlantic oceans where the previous administration had not allowed drilling. The Trump administration has touted the change as an "America-first offshore energy strategy." Before signing the order, Trump said that "renewed offshore energy production will reduce the cost of energy, create countless new jobs, and make America more secure and far more energy independent." Legal experts have raised questions about whether the Trump administration actually has the power to change portions of Obama's policies, such as reversing the Arctic leasing ban. Shortly before Obama left office he "used an obscure provision of the 1953 Outer Continental Shelf Lands Act to issue what he called a permanent ban on offshore drilling in large parts of the Arctic and Atlantic Oceans," as NPR has reported. The Obama administration said it could not be reversed, because there is no provision to do so in that law. Trump's executive order explicitly mentions the Outer Continental Shelf Lands Act and says it is simply modifying the text of the Obama memorandum. Interior Principal Deputy Assistant Secretary Kate MacGregor told reporters Thursday that she believes previous protections were "overturned." And as NPR previously reported, it's also not clear how much new drilling would actually happen even if it is allowed. The current price of oil is about $60 a barrel — fairly low — and "offshore drilling is an expensive endeavor, especially in places like the Arctic." MacGregor said she is expecting companies to be "very interested" in new lease offerings. Governors in multiple states have spoken out against opening up nearby waters to leasing and drilling. Earlier Thursday, Florida Gov. Rick Scott said he asked for an immediate meeting with Zinke to "discuss the concerns I have with this plan and the crucial need to remove Florida from consideration." Governors in Delaware, Maryland, Virginia, North Carolina, California, Oregon and Washington have also previously opposed drilling off their states' coasts. The Pacific governors stated: "For more than 30 years, our shared coastline has been protected from further federal drilling and we'll do whatever it takes to stop this reckless, short-sighted action." 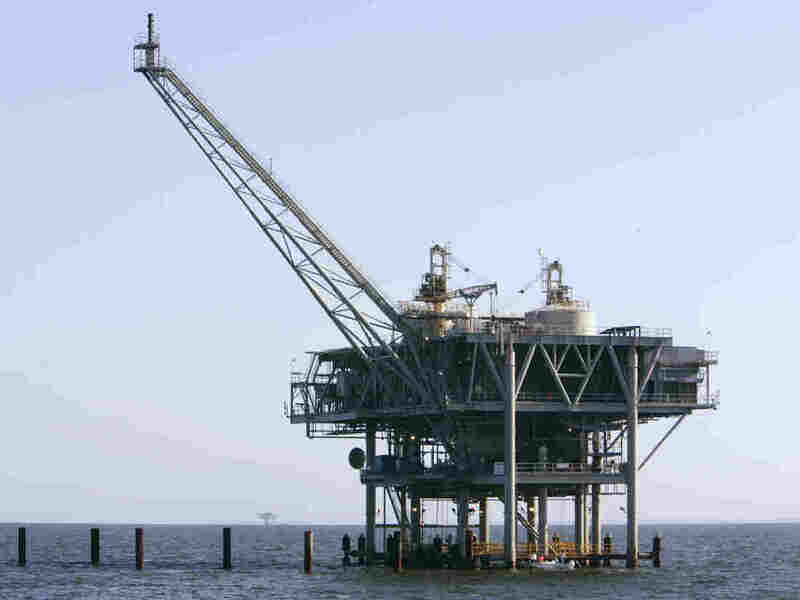 Separately, the Trump administration is seeking to relax a rule requiring equipment used by oil and gas companies in offshore drilling to be certified by third-party inspectors. "Now they're going to use some industry-set recommendations — recommended practices instead of these third-party inspectors," Inside Energy Executive Editor Alisa Barba told NPR. "It is time for a paradigm shift in the way we regulate the [outer continental shelf]," said Bureau of Safety and Environmental Enforcement Director Scott Angelle. "There was an assumption made previously that only more rules would increase safety, but ultimately it is not an either/or proposition. We can actually increase domestic energy production and increase safety and environmental protection." That proposed rule appeared in the Federal Register last Friday and is open to public comment until Jan. 29. The BSEE, the federal regulator of the offshore energy industry, was set up in response to 2010's Deepwater Horizon oil spill, which dumped millions of gallons of oil into the Gulf of Mexico and killed 11 people.